Windows 7 is the biggest pre-order product ever, according to Amazon, beating the record previously held by JK Rowling's Harry Potter and the Deathly Hallows. According to the online shopping site, in July the OS was so popular Amazon.co.uk sold more pre-order copies of Windows 7 in the first eight hours of its release than Windows Vista managed in its entire pre-order period. In fact, the software has only been beaten in actual sales the last three months by Dan Brown's The Lost Symbol. Speaking about the feat, Brian McBride, Managing Director of Amazon.co.uk, said: "The launch of Windows 7 has superseded everyone's expectations, storming ahead of Harry Potter and the Deathly Hallows… and demand is still going strong." The official release date for Windows 7 is 22 October, although there are many reports that the software has already been sent to customers. Including one from TechRadar's very own Publishing Director! 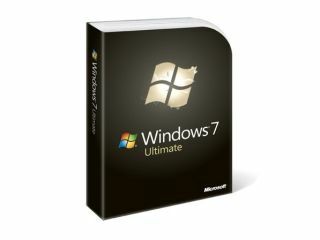 For more information on Windows 7, check out TechRadar's Windows 7 week.